Let us proceed on the assumption that those guys have left the party and only the properly humble and frail among us remain. Those of us that know we are limited, and that we all have limited skill sets. There is a really old proverb about a group of blind men that come upon an elephant and have drastically different opinions of what it is that they are coming into contact with. The guy that grabs the trunk thinks it is like a snake. The one that grabs the ear thinks it might be a fan of some kind. As you can imagine this goes on and on, and in some versions these guys actually come to blows. In business, as in all things, we are usually at least partially blind. There is so much we can't control. 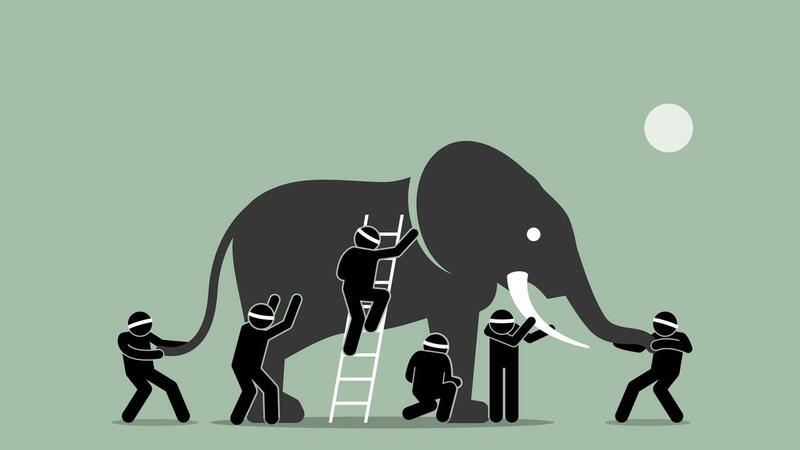 And while things have gotten easier on a lot of levels because of such easy access to information, we never know what part of the elephant we are holding on to. No one knows everything, and I'm always cautious about those that claim otherwise. It is those that don't know or recognize that they have blindspots that can be the most dangerous to others. None of us are perfect and all knowing. The good news is that we all have our own imperfections and blindspots. This means that through community and mentorship most of our imperfections can be sanded down and at least the very rough edges can be buffed out. If you had a problem with wanting to craft a balanced diet plan for your body type, or wanted to learn how to build a deck, or fix a car, or play the stock market, you'd certainly want advice from someone else. But if you want to grow your business. If you want to sell more stuff. If you want to build something, I think I can help. I'm always looking for people to work with one on one that have a vision for their business and are willing to put in the effort to grow it. Whether it is selling books on Amazon, or selling burgers at local diner, I can help you sell more stuff. If you'd like to work with me, click here to learn more. If the buy button is active that means I still have some room in the calendar right now to work together. If not, you can leave your information and I will be in touch. Good luck, and I hope to hear from you soon.